I moved into my home last year around this time but with all the chaos of becoming a homeowner gardening was not on my list of to-dos. Fortunately, this year it was. I had plenty of time to plan over the winter and I could hardly wait for the NE Ohio snow to go away. 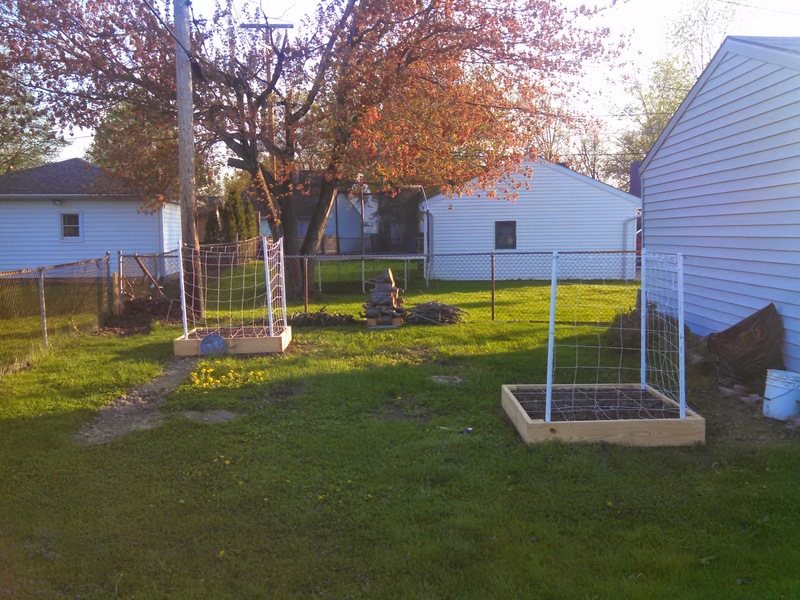 I decided which veggies i wanted to plant and chose to create two raised beds. The project was done over two weekends -- although it could be completed in one if you have all of your ducks in a row. I wasn't interested in rushing so the boxes were set up one weekend and the planting was done the next. 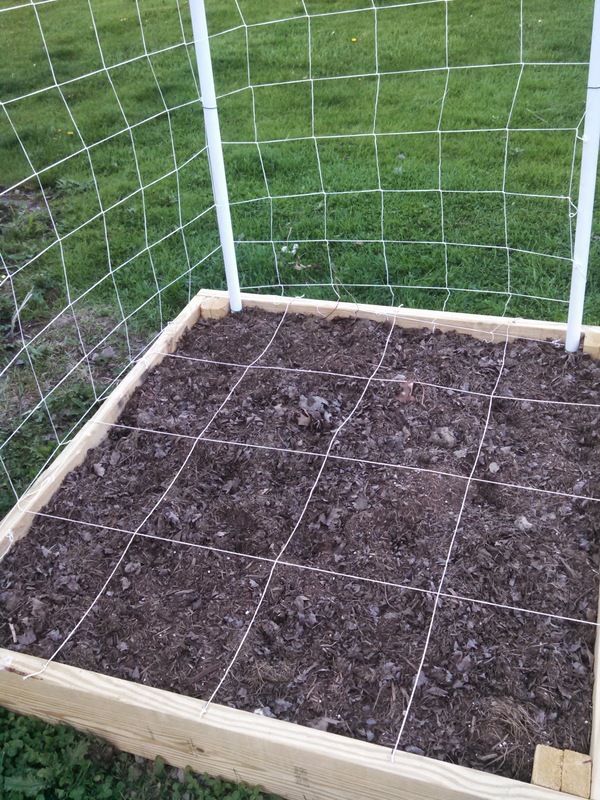 Raised beds are nice for several reasons. Weed control -- i lined the bottom of the boxes with packing paper to act as a weed barrier. (it won't prevent weeds but it'll help) Uncompacted soil --because these boxes are only 16 square feet, i can walk around the perimeter and never have to step on the soil. 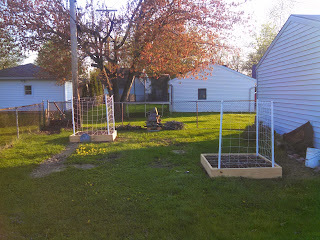 Soil Quality -- i used high quality gardening soil to fill the beds as opposed to tilling up the earth. There's more but y'all have Google. This area has enough room for 6 beds and gets full sun all day, ignore the photo. I (my cousin, mainly) only built two this year because i didn't want to overwhelm myself and i'd like to spread the cost out over a couple of years. I spent $85 on dirt and supplies to build the boxes (including the lumber), another $30 on the netting/stakes, and $100 on the flowers/veggies themselves. Upon setting up the boxes and inserting the trellis, i stapled twine to the boxes to [roughly] designate each square foot. This makes it much easier to plan the garden and to plant. Generally, it's one square foot per plant. Obviously, larger plants need more room and smaller veggies fit more per square. 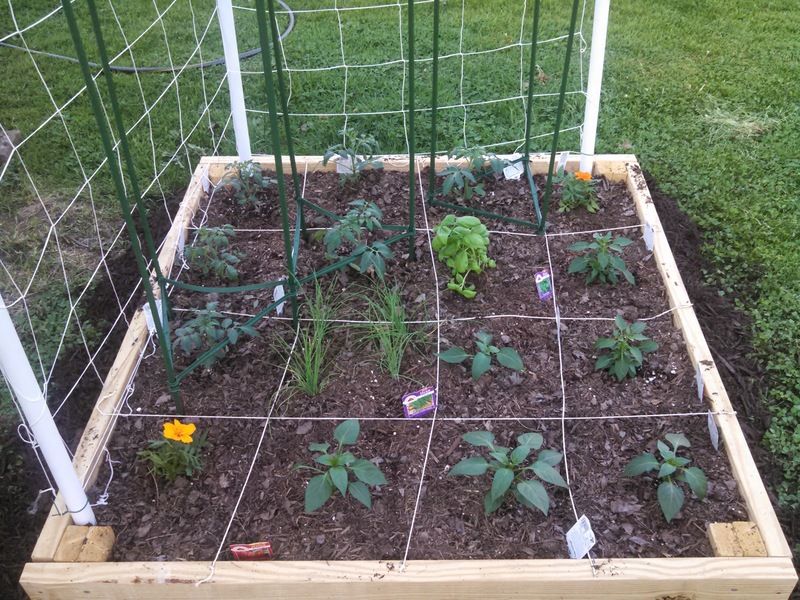 I'm also trying to maximize space by using a trellis system and tomato stakes. 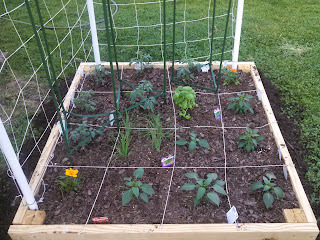 The trellis is set up on the N side so that the taller plants won't shade the smaller ones. Bed A contains 3 vining-type tomatoes, 3 staked tomatoes, 2 hot peppers, 2 green peppers, 2 red peppers, 2 marigolds, 4 chives and 1 basil. 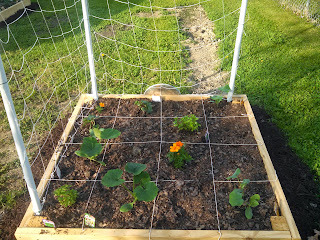 Bed B contains 2 squash, 2 cucumber, 2 zucchini, 2 marigolds, and 2 mint. I left some room in this bed to allow some of the larger stuff to spread out. You'll notice that i planted marigolds and herbs in the beds. The goal is companion planting, planting compatible herbs/flowers/veggies together so that they all can thrive. You can find one of many companion planting guides here, courtesy of Mother Earth News. That's the garden as it stands today. I plan to update progress throughout the summer. Do you have a garden? What are you planting? As a newcomer, i'm interested in all kinds of tips and techniques. Let's grow together! In the words of my man Ron Finley, #plantsomeshit.